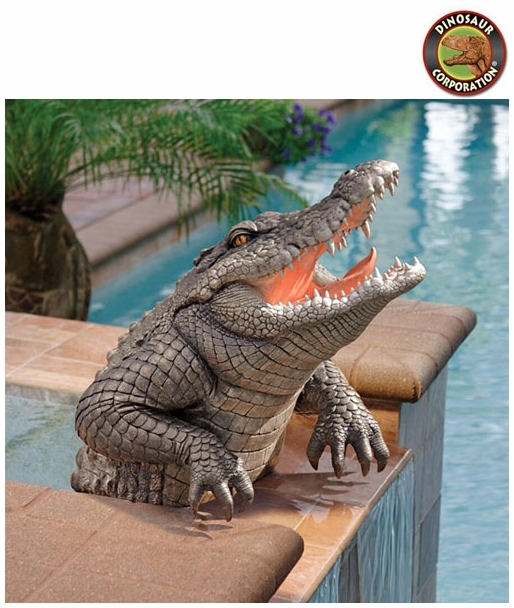 Alligator Statue Outdoor Pool Sculpture. 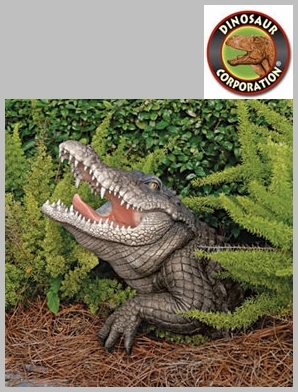 Looming even larger than our imaginations, this savage alligator is sculpted in quality designer resin - complete with barbed fangs and weathered scales - to leap from the eerie darkness and feed on your unnerved garden guests. * Size: 19�" W x 17" D x 19" H.